TAYA GRAHAM:	This is a story about race, and how it moves through our lives, how it shapes our perceptions and the world around us. 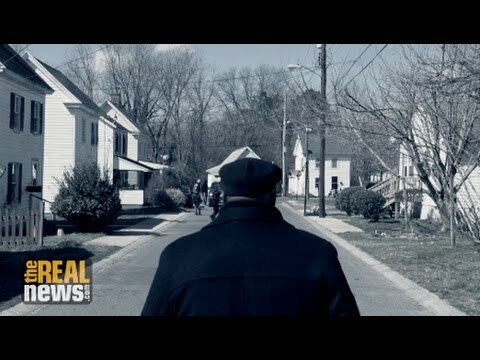 This story starts in Pocomoke City, on Maryland’s Lower Eastern Shore, where the controversy over the firing of its first black police chief, Kelvin Sewell, still lingers. It begins in the Back Burn, an almost exclusively black community where Sewell first decided to get out of his car and walk the streets. Many homes are vacant or rundown, and like the decay here, Sewell’s dismissal continues to roil the community, which still seems divided. This week, the Citizens for a Better Pocomoke, who support Sewell, backed a candidate for the 3rd District Council seat. Her name is Monna Van Ess, her opponent, Dale Trotter, voted to fire the chief in 2015. But Van Ess disagreed. MONNA VAN ESS:	That kinda maybe was the launching point for all this because, like, I became more and more involved with this city. Attending more of the city council meetings on a regular… more regular basis. And it just opened my eyes a little more to just how much things need to be changed. TAYA GRAHAM:	She says the allegations of racism, recounted in Sewell’s discrimination lawsuit, is emblematic of the town’s divisions. STEPHEN JANIS:	What finally made up your mind that you were going to go ahead and do this? MONNA VAN ESS:	Well, a couple of times, like, I did not get answers to questions, I felt like the… we were left out of the loop with city things that went on, and it was just… it just got very frustrating. There was, no one particular, thing, but it was just a build-up of several things. TAYA GRAHAM:	But, she said the election was about more than Sewell’s firing, that it revealed deeper divisions within the community. MONNA VAN ESS:	And people were not getting answers. That’s another thing: I want to open-up communication. It’s just terrible. TAYA GRAHAM:	We spoke to several residents who agreed. TEX:	The people are getting sick of it. The cops aren’t doing their jobs, people don’t even call the cops anymore, because they know when they do they’re not going to do anything, so they just stay in their homes, lock the doors and… turn their TV’s up. TAYA GRAHAM:	Tex is one of them who was willing to go on camera to talk about it. TEX:	Pretty much once every few days, you’re hearing gunshots. You call the cops. They’ll show up. 15 minutes later. Say, uh… well, we’re ride ‘er… which direction did it come from? We’ll ride around and look. They ride around for less than two minutes, and then disappear. TAYA GRAHAM:	He told us how his neighborhood has been plagued by burglaries, and how he along with several neighbors have tried to set up a Community Watch. But after numerous attempts to work with the police department, they’ve been unable to even obtain the correct forms. TEX:	Try to get a Neighborhood Watch started over a year ago. And the chief of police has yet to make sure that has happened for whatever reason – of course, he doesn’t live in town so why does he care about the crime in town? TAYA GRAHAM:	72-year-old Donald Taylor is another resident who says Sewell’s firing was telling. DONALD TAYLOR:	And I’ve seen several of them come and go. I was sorry to see this first black chief. I thought, well, … I didn’t think I’d ever see it. I said, I have lived long enough to see it. But it didn’t work. (laughs) Not with everybody’s… you know? STEPHEN JANIS:	Why don’t you do your work? DONALD TAYLOR:	Well, I think a lot of people were displeased with it. That’s my opinion. Uh… it’s just been the other way so long, it’s hard to change, you know? TAYA GRAHAM:	A fact, he says, is in part due to history, when the police department used to forcefully remove African-Americans from downtown. DONALD TAYLOR:	They run all the black people off of Main Street. Said decent people do their shopping, and they went down to Clark Avenue, well, then everybody wondered why does all the black people crowd up on Clark Avenue, because that’s where they were chased to, you know? STEPHEN JANIS:	… force all the black people with batons and …? DONALD TAYLOR:	Yeah. Yeah, … yeah. Well, they… he would turn boys from … would come up here. … running with. (laughs) They were a rough bunch over there. STEPHEN JANIS:	And what would they do? They’d come down the street – describe it. DONALD TAYLOR:	Yeah. Well, just… they’d… time to go, and they would go. All down Clark Avenue there. TAYA GRAHAM:	And he was also not surprised by the indictment, and subsequent conviction of Sewell for misconduct in office, for his role in investigating a 2014 car accident with two parked cars. STEPHEN JANIS:	So, they said … eventually? DONALD TAYLOR:	Well, no. I didn’t hear anybody say that. Understand. That I think everyone… my opinion, is that people were watching close, you know? When you stub your toe, you’re gone, you know? TAYA GRAHAM:	In the end, Trotter, who was backed by Mayor Bruce Morrison and other council members won a close victory. MAN:	Dale Trotter had 78, Monna Van Ess had 62. TAYA GRAHAM:	But Van Ess along with her supporters vowed to fight on. STEPHEN JANIS:	What do you think this means for the Citizens for a Better Pocomoke and some of the stuff that you were hoping to work on? MONNA VAN ESS:	Well, first of all, for the citizens of Pocomoke, I think that they need to get out their mission, and get people out to express their opinions, and get them to the council meetings, and encourage them more to speak out. I will still be attending the council meetings, and I still will be speaking out. And I’ll give people a voice. If they don’t wish to speak out, or are not able to, I’ll be glad to do that. TAYA GRAHAM:	The question, can a community heal that is at its core divided? This is Taya Graham and Stephen Janis reporting for The Real News Network in Pocomoke City, Maryland.